Join us for this incredible, closed road central London half marathon. It's the only run to go through both the City of Westminster and the City of London, and is an amazing way to experience the capital! 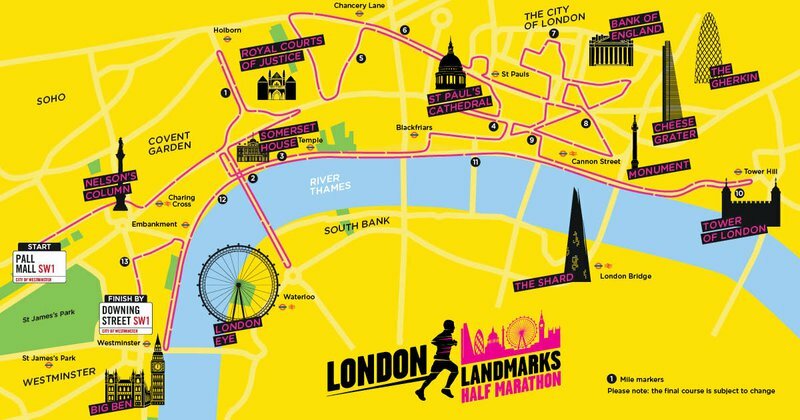 The London Landmarks half marathon celebrates ‘the grand, the quirky and the hidden’. The route takes runners past some of London’s grandest landmarks, including Big Ben, the Tower of London and St Paul’s Cathedral, as well as some of the city’s hidden secrets. The race is great fun for both runners and supporters, with themed cheerers celebrating London’s amazing history. If you are lucky enough to win a place in the ballot, we would still love to hear from you! There won’t be a registration fee or a minimum fundraising target but you can still experience all the perks of being on our team. If you would like to sign up or you have any questions, get in touch with our Fundraising and Events Manager Katharine on 020 7820 6254, or send her an email.